The Oklahoma Real Estate Appraiser Board certifies, licenses and registers real estate appraisers to perform real estate appraisals. You must get the Trainee Appraiser License to obtain the experience hours that qualify you to take the test for licensed, certified, and certified general licenses. The required time to gain experience hours for licensing is just 12 months, whereas many other states impose a minimum time of 18-24 months. As an Oklahoma licensed real estate appraiser trainee, you will be able to complete inspections and appraisal reports under the direct supervision of a certified appraiser. However, the amount of work you do depends on the amount your supervisory appraiser allows you to do. He or she may just give you the task of researching property data and filling out reports. Ideally, the supervisory appraiser is a mentor who works with you through the entire appraisal process, helping and guiding you and answering questions. 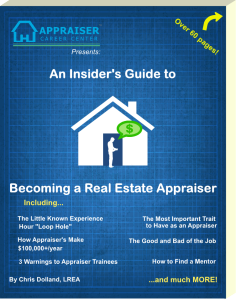 Finding a mentor (especially a good mentor) and obtaining experience hours can be the most challenging part of becoming a real estate appraiser. Education Requirements: 75 hours of qualifying education courses from a provider such as McKissock, a leading provider in appraisal education. Sign Up to get FREE Career Advising from McKissock! Education Requirements: Must have an Associate’s degree or higher OR 30 semester credit hours in specified courses; 150 hours of qualifying education courses from a provider such as McKissock, a leading provider in appraisal education. Sign Up to get FREE Career Advising from McKissock! 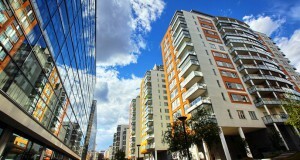 A certified real estate appraiser is the second level of Oklahoma state licensing for the appraisal of real property. It is one above from licensed and one under general certified (commercial). With this credential you are able to appraise all types of non-complex one-to-four family residential property without regard to the transaction value and other types of real property having a transaction value of less than $250,000 (two hundred fifty thousand dollars) (exact limitations may vary by state). As a Oklahoma state certified appraiser, you would meet the requirements of many larger lenders and financial institutions which enlist only certified appraisers to for their transactions. Likewise, as a field appraiser, your day will be divided between property inspections and completing research online and at local court houses and/or assessor’s offices. 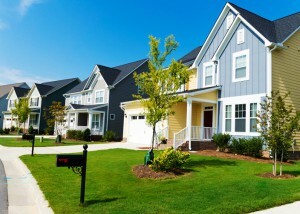 For most purposes, you will be completing appraisals for home purchases, refinancing, divorces, estates and portfolios. Education Requirements: Must have a Bachelor’s degree or higher; 200 hours of qualifying education courses from a provider such as McKissock, a leading provider in appraisal education. Sign Up to get FREE Career Advising from McKissock! As an Oklahoma certified general appraiser, you will typically work in a small to medium sized firm devoted to commercial work. You may but will rarely complete residential assignments. But if you do decide to complete residential appraisals you can (just like licensed or certified appraisers) do work for local and national clients devoted to residential transactions. Education Requirements: Must have a Bachelor’s degree or higher; 300 hours of qualifying education courses from a provider such as McKissock, a leading provider in appraisal education. Sign Up to get FREE Career Advising from McKissock!